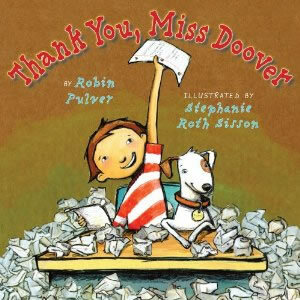 Jack's teacher, Miss Doover, is teaching her class how to write thank you notes. She requires multiple revisions (Get it? Do over?) Jack's new puppy hasn't made things easier for him! "With its succession of teachable moments, this is a fine, funny writing lesson." 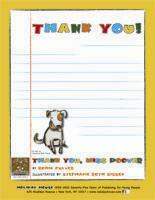 Print this illustrated 'thank you' note to write your own!